The candy is translucent when held to the light. Fresh snow, like the 20 + inches that just landed on New York City, can conjure up images of sledding, shoveling and snow angels. 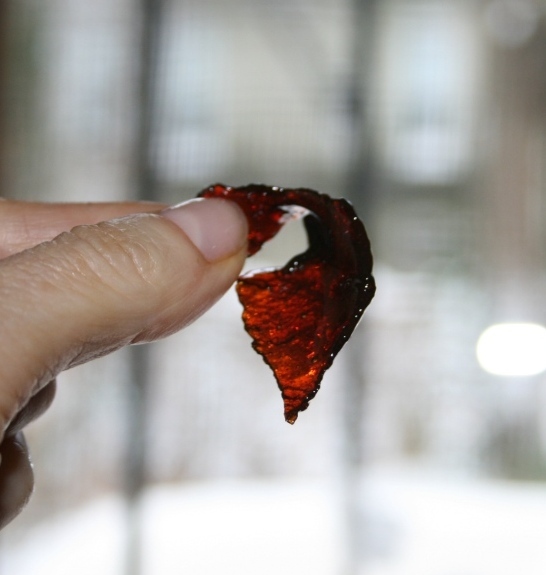 But for me, it means just one thing: A rare opportunity to make Molasses-on-Snow candy, a delicious treat whose essential ingredient is fresh, virginal snow. This candy, made popular by the Little House on the Prairie books, is a lot of fun to make, especially if you have a couple of young children around to watch the magic. 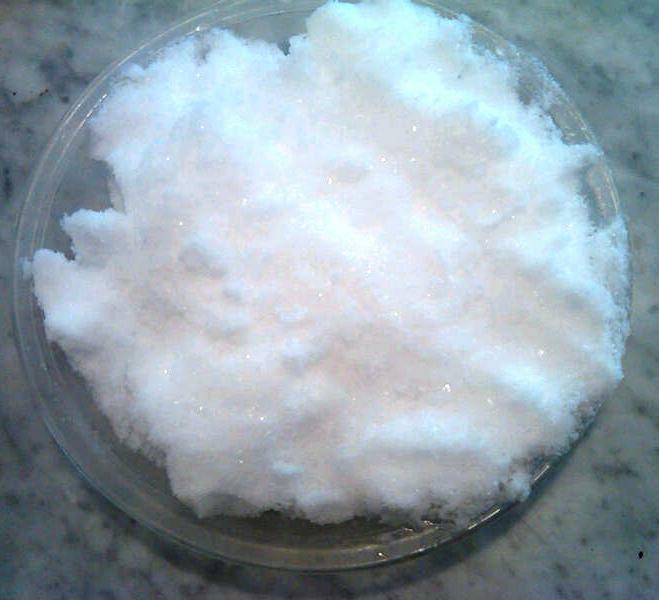 Pie pan filled with virginal snow. Subway service is suspended and our street is still not plowed (can anyone say snow day? ), so I ventured outdoors this morning to fill two pie pans with snow. Two of the candy's three ingredients: molasses and brown sugar mixed together. 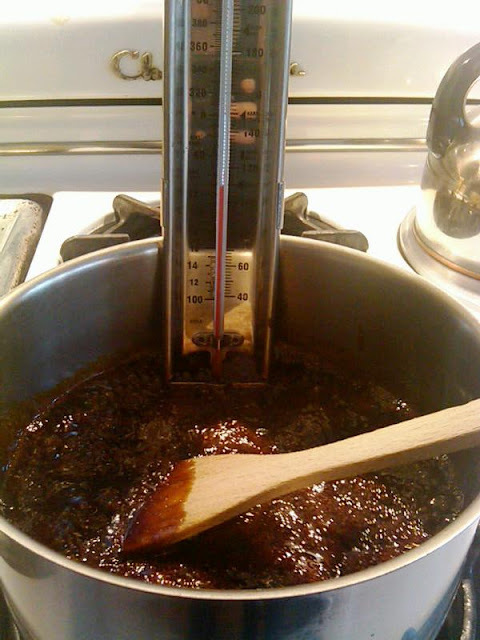 Once the mixture reaches the right temperature, retrieve the pie pans of snow (which you've either kept outdoors or in the freezer) and transfer the candy mixture to a glass measuring cup. Pour the candy syrup on the snow in any pattern you wish. Pour the hot candy syrup over the fresh snow in any pattern you wish. Let it set for a few minutes until the candy hardens. Remove from the snow, break into bite size pieces and praise the snowfall. 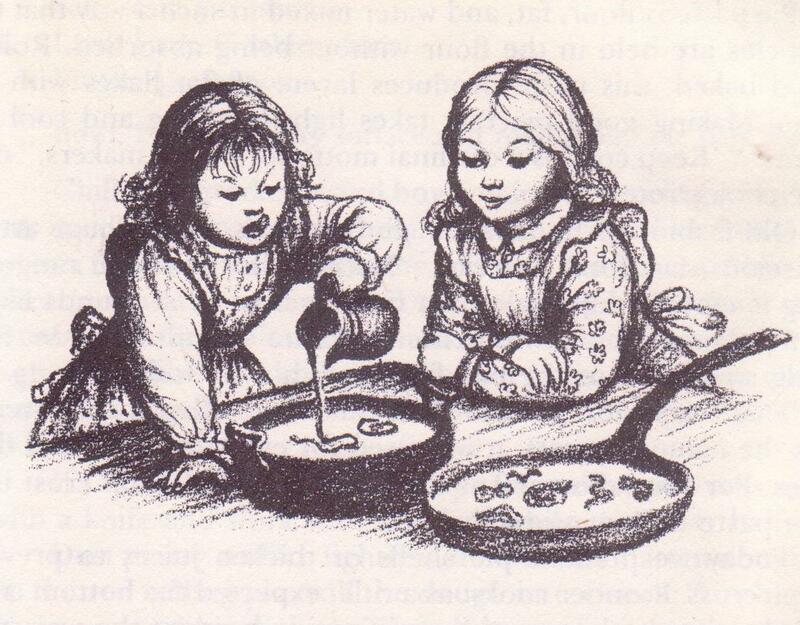 Laura and Mary (illustrated by Garth Williams) from the Little House Cookbook (from which this recipe is adapted. Aw I loved Little House when I was youngerl. Thank you for the sweet reminder! @Dee -- Well, not genius, but certainly delicious! When God gives you snow, make candy. @Michelle -- I loved those books, too, so I was especially pleased to find this recipe. @EM -- Sounds wonderful. Did you simply heat the syrup and then pour it on? Only thing better [but much more expensive] is boil down a quart or two of REAL maple syrup until it reaches the hard ball stage and than drizzle over snow and let cool. 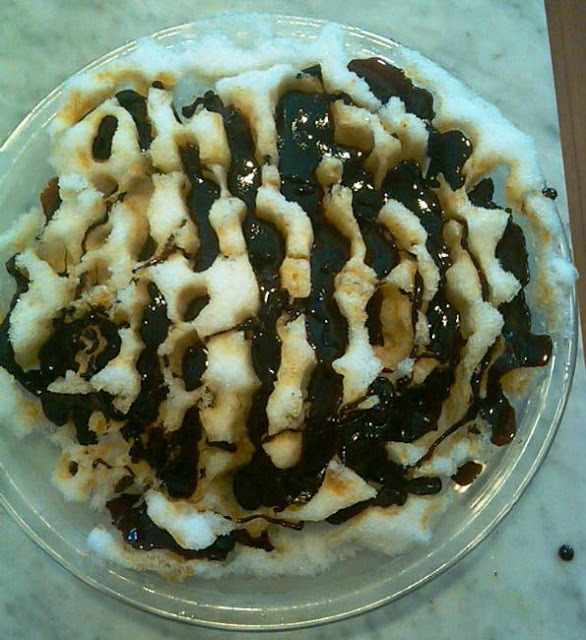 PS: If you are REALLY impatient, just get the snow and drizzle honey over it. Candy won't get as hard, but saves having to heat up anything. Obviously ice cream works as a snow substitute too. PS: Remember in "Little House in the Big Woods" they used maple syrup rather than molasses. Thank you SO much! I was a huge Little House fan and tried the syrup in snow so many times as a kid without success. This worked like a charm for me and my kids today - I blogged about it and linked here, come take a look! This was too fun! Girl Scout Troops that I will someday lead say, "Thank you!" 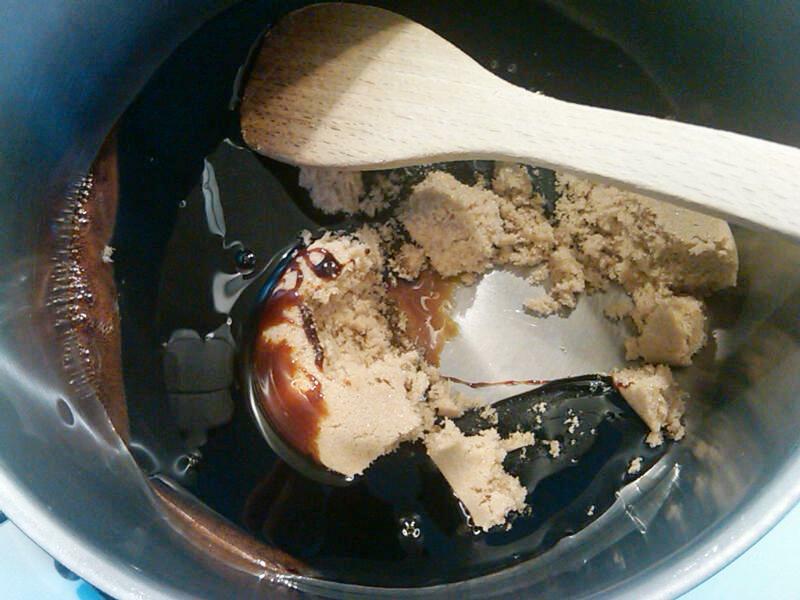 @Anonymous: Love the maple sugar idea, but alas my cupboard (refrigerator) didn't have enough. For some reason, I always have molasses on hand! @Patty: Glad it worked out. Please send me the link to your blog. Would love to read the story. @Kristin: Glad you got the candy magic. As a former Girl Scout, I applaud you. @Patty: Fabulous post and blog! Thanks so much. Thank you so much for providing this recipe. It is exactly what I was looking for. By the way, in Little House in the Big Woods they did use molasses and sugar, not maple syrup. 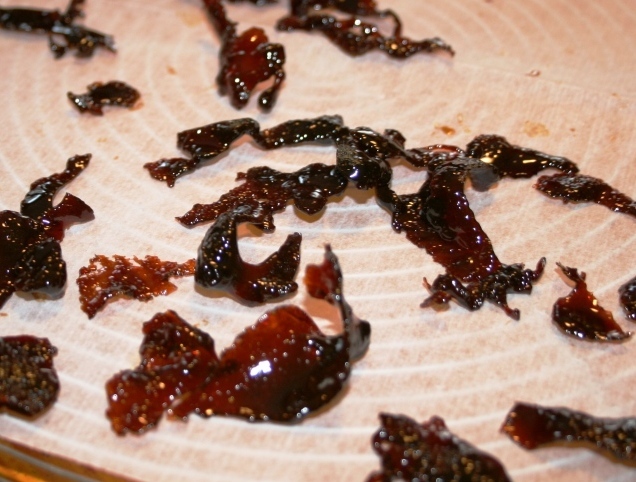 They were making Christmas candy and the sap does not rise until spring.